So this was refreshing, an architecture exhibition that was fully engaging and immersive. An exhibition you could touch, hear and smell as well as see, a series of installations that you could walk in and on and be part of. 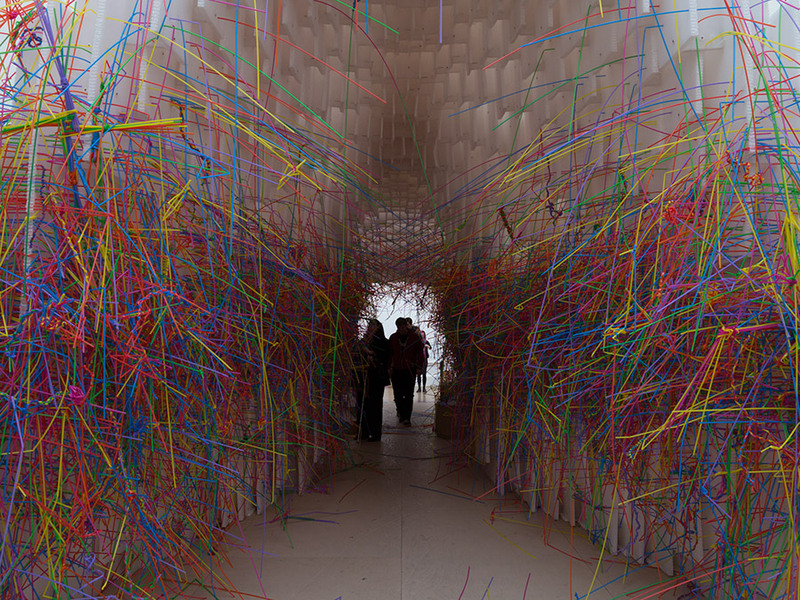 Built to be experienced (and this is surely the only way to see architecture) ‘Sensing Spaces – Architecture Reimagined’ is on now at the Royal Academy and well worth a visit. 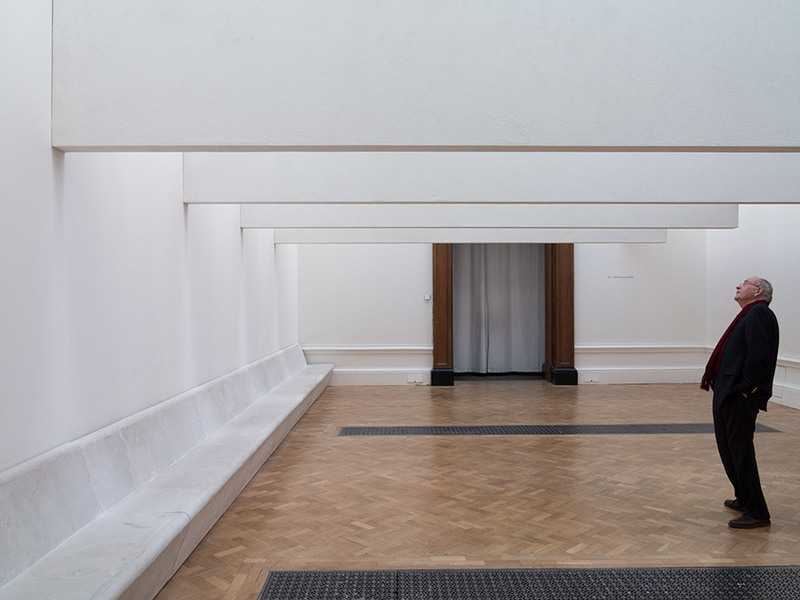 “How might an exhibition highlight the sensation of inhabiting built space rather than the purely functional or visual aspects of architecture?” Asks the RA, well by creating physical interventions within the gallery spaces it answers. I have enjoyed the Serpentine Gallery Pavilions for many years for exactly these reasons, they create spaces that you can visit and be within, the architect does not have to explain something, they have to do something and ‘doing’ is their job. Seven architects have been invited to create installations and there is no need to go into details here except to say that Lu Xiaodong was a highlight. 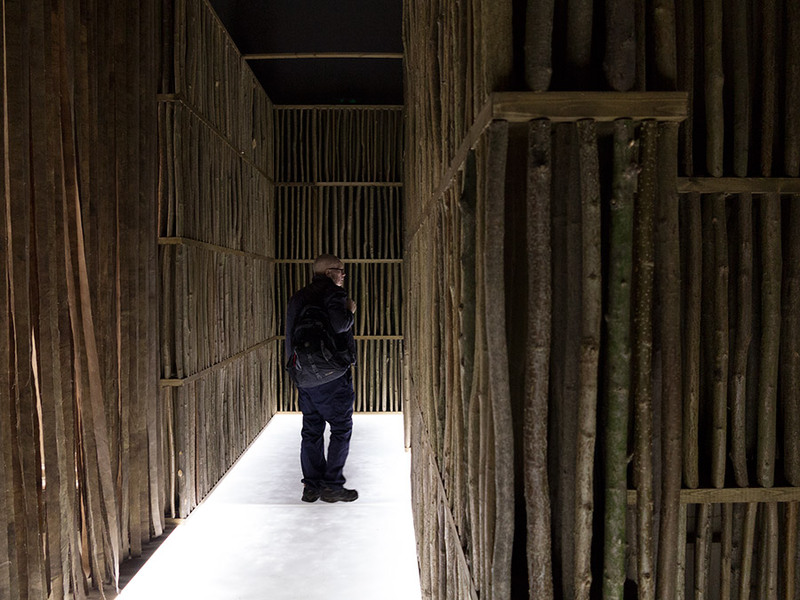 His installation creates a new space within a space using of natural twigs to create walls, uplift through a translucent floor and winding round and round like a geometric forest path leading to various secret little spaces and cubbyholes before ending in what was described as a Zen garden but was actually more like a pebble beach that made lovely crunching sounds when walked on. Architecture exhibitions are often rather dry affairs, either that or they are so chock full of drawings, models, sketchbooks, quotes, photographs and films that it is difficult to know where to begin and how to gain much of value from it (beyond what you can get from a good book) – I felt the recent Richard Rogers exhibition at the RA was a bit like this. So I recommend ‘Sensing Spaces’ for the experience, for the chance to see how space can be completely transformed with (relatively) little intervention and for the chance to visit an architecture exhibition that is fun.